Using Adol as the player character allowed me to mow down all the enemies in the Bronze, Silver, and Gold areas with ease too. :B Aura Fencer for all! Of course, I also have missing harvest points. X___x I came across one while going through some areas that I suspected I may have missed stuff since I was rushing through them. ^^ I found 2 so far — one in the Colonia Battlefield and the other in one of the mini tunnels in the Ancient Burrow. I think I only have one more left now. Loaded up the clear game data on Easy to do the Boss Rush. XD I completed it but didn’t remember there was a trophy for getting through it without using Retry. I forgot which boss did me in. :V Pro tip: equip the Courage Scarf so you can gain SP while walking/running if you can’t use Flash Guard at will to replenish SP. :V You can’t change equipment during a boss fight so you’ll have to make all edits before selecting to do Boss Rush. Alternatively, the Blue Tree Earring may work well too. Added on Dec 11th: Finally! 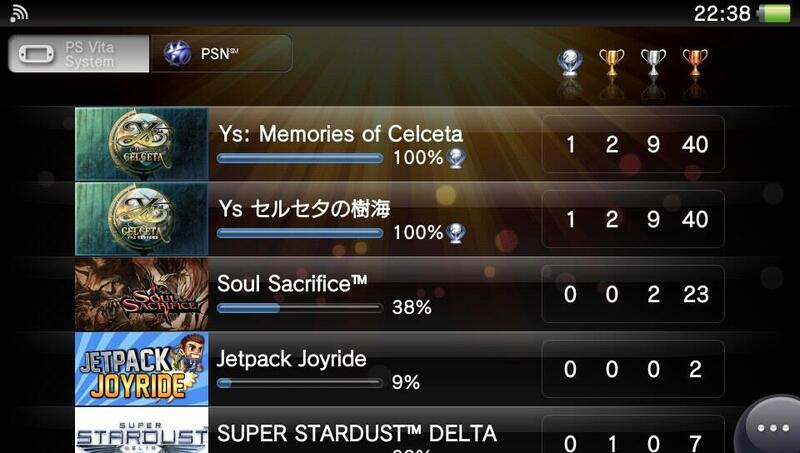 Got all Boss Rush and Time Attack trophies! Turns out Volnake is a pretty good boss for the Reckless Abandon one. It may also be possible with the Gold, Silver, and Bronze Area bosses too. Only the Sacred Beasts’ Lair & Iris Central Area bosses stump me in terms of defeating them fast. Edit on December 14th: BEHOLD! Double Platinum!! Played through Celceta 4 times total in two languages! Speaking of Canlilica, I love her skills! She’s got range and area attacks which make battles kind of a breeze! I spam Gold Rush and Blitz Chaser like crazy. XD I also like quite a few of Frieda’s skills as well. The only characters I don’t really care for when it comes to fighting are Duren and Ozma.